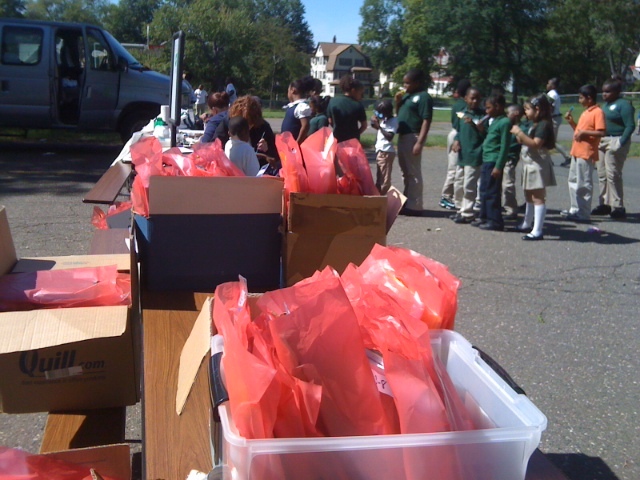 On Friday, September 16th, Hands On Hartford held a Back To School Celebration for the students and staff of ML King Elementary School. The day included a DJ, face painting and ice cream. The DJ was a hit amongst the teachers and students, playing Justin Bieber, Willow Smith, and other popular music which led to a dance party, including a nod to Michael Jackson’s “Thriller,” mummies and all! 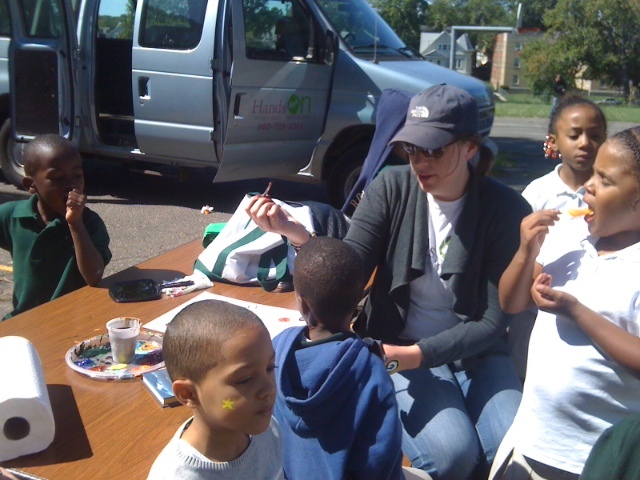 Students lined up to get their faces painted with butterflies, shooting stars, snakes, and the Hartford Whaler’s logo. 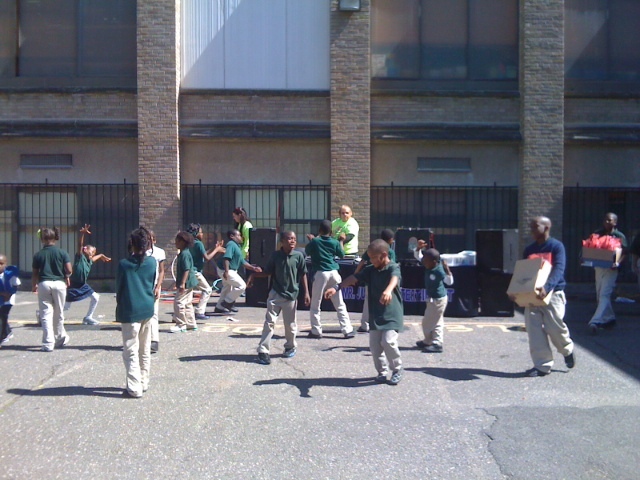 It was truly a wonderful way to end the school week and to celebrate the start of the school year. “The event planned for King School was a huge success!!!! Thanks a million for all of your support and effort in making this day a well received and fun filled day for our children. This magnificent endeavor certainly trumps all previous school opening celebrations at King. Many students and staff commented on how fantastic this celebration was for our school” said Principal Atkinson. While the students enjoyed the celebration, the teachers collected bags filled with school supplies according to grade level. The bags contained the essentials such as filler paper, dividers, notebooks, pens/pencils, sharpeners, crayons, erasers, folders, glue sticks, etc. Hands On Hartford was able to distribute supplies to 422 students courtesy of a grant and generous donations from Alvin & Company Inc., LeClair Ryan and the United Way of Rocky Hill. Have extra food lying around? Or you just want to help out in some way? Donate food to our food pantry, MANNA.